Despite an earthquake postponing last week's Direct, Nintendo came bringing the fire in today's presentation. Kicking things off with everyone's favourite Mario Bro (I will FIGHT anyone that disagrees), the Nintendo announced Luigi's Mansion 3 for Switch. The Direct went on to detail the upcoming Switch Online service, which launches next week. To the surprise of many, Nintendo announced that a number of Final Fantasy classics are coming to Switch, including VII, IX, X and X-2. This will be the first time many of these titles make their way to a Nintendo console since developer Square Enix [then, just Square] turned to Sony for console exclusive releases on the original PlayStation. There's a new Animal Crossing on its way to the Switch next year as well. Before its release however, the adorable character of Isabelle will join the lineup of Super Smash Bros. Ultimate. Those waiting for a new Katamari have reason to celebrate, as Katamari Damacy: Reroll comes to Switch in "Summer 2018". The game will be a remaster of the 2004 PlayStation 2 puzzler. In addition, the previously announced Switch version of Diablo III got a release - bringing hell to the handheld-hybrid on November 2. 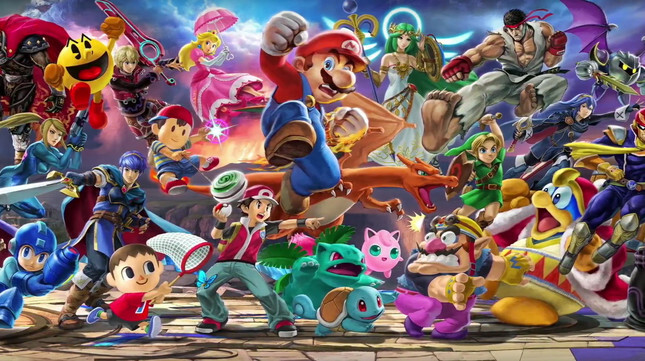 What were your favourite announcements from the Direct? Let us know in the forums below!